Discussion in 'Custom Cases & Projects' started by CircleTect, May 24, 2017. Can anyone be specific about what brand/make of PSU people would prefer? We are working on an alternative FE card kit and I want to make sure we're making it for the right PSU model(s). TBH, by 'alternative PSU' I was thinking a DC-DC arrangement. If we can fit a full-length, dual-slot card and SFX PSU, all the better. As for specific models, the Corsair SF600 and SF750 are good benchmarks; both offer plenty of headroom. TBH, by 'alternative PSU' I was thinking a DC-DC arrangement. That's what I meant - the case already supports SFX, and it will be impossible to fit SFX and an FE card. I'm asking for people's opinions on what specific models of DC-DC / HDPlex style power supplies people would like to see supported. WinterCharm and roozter like this. Well, the HDPlex 400 is the most powerful of their DC PSUs. I can imagine it fitting in the leftmost (motherboard-side) portion of the PSU area. Is the right side of the shroud still a separate piece? Removing it would clear the way for a longer GPU. The HDPlex is a good baseline for an off-the-shelf option. The custom-built G-Unique DC-DC PSUs are even more space-efficient. For reference, see this impressive A4 build. Ensuring that G-Unique's external power socket works well (and looks good) with the Circle Pro would be excellent, as some have encountered challenges. How do you expect to provide clearance for GPU power cabling? will there be a future revision to the case that allows 25mm thick fans at the bottom? It would be lovely to have a white version and be able to fit the new corsair ll120 white rgb fans at the bottom. The idea of slim fans are great, im just one in a bunch that would like to use standard size 120 mm fans at the bottom. Probably two or three times a week I see people post their planned builds on reddit or elsewhere, and they've got one or more parts that obviously (to me) aren't going to fit in the case. No matter how good (or bad) the product is, in the end you're gonna need to have some sort of marketing behind the product. What you describe as a threat (novice builders) is undeniably an opportunity for those who are willing to assist those customers. If the community made an online tool where people were shown what parts were actually compatible with X computercase then a lot of the hassles you describe would be solved. Maybe not the building itself, but at least the parts/compatibility. Hi all. I wanted to contribute to this thread with my current build. I originally had a Noctua NH-L9i CPU air cooler, but was unhappy with the CPU thermals while video rendering. I was averaging 89C while video rendering with the NH-L9i. 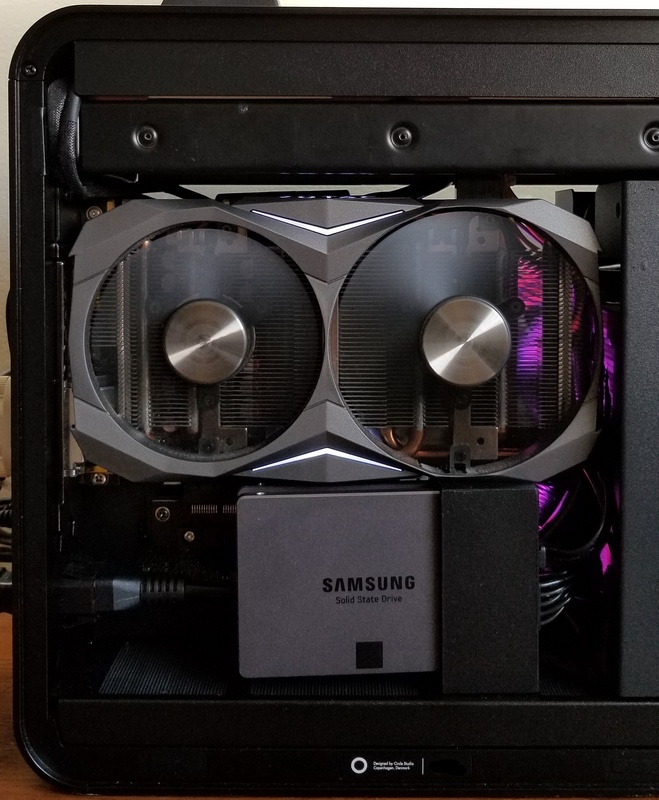 Once I swapped out the Noctua for the Corsair H100i, I saw an immediate cooling performance between 24C-30C. I was pleased with the new results and happy to report that sound at full load is pretty much whisper quiet. 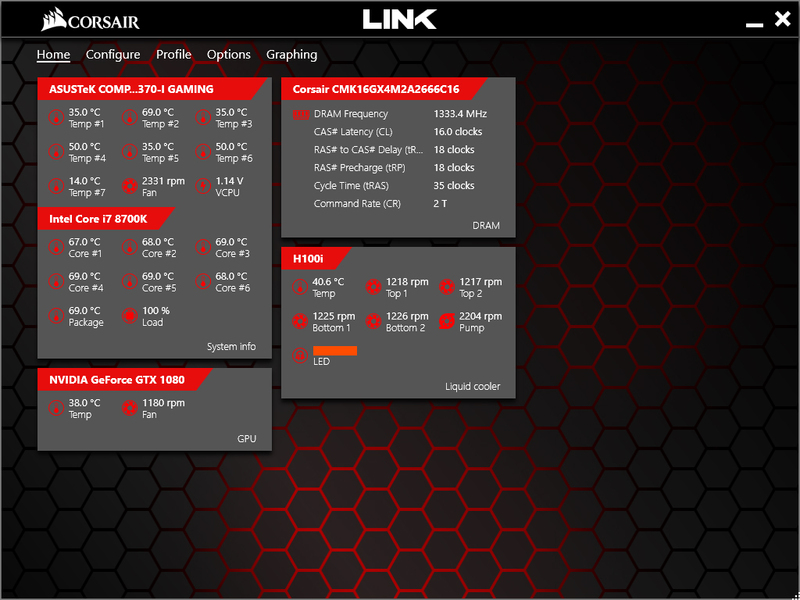 All four fans are connected via Corsair Link (the images only show two, but currently all four are connected to date) which is connected to the CPU fan header on the MOBO. Hope this helps anyone thinking about building in this case using the below components. Enjoy! WinterCharm, Bonusround, thenisse and 2 others like this. @WINGZERO619 beautiful work! that just overall looks so good. I'm still pretty bent on Air Cooling my build, so it's good to see that you had somewhat high, but overall pretty workable temperatures. While 89C is not ideal, I think it'd be even better if I used something like a Cryorig C7 copper, and put Kryonaut on the CPU and GPU. Yes, the 89C temps at full load were not ideal, but the CPU was able to handle my workload without breaking a sweat. Although, to be fair about the Noctua NH-L9i barely keeping my CPU cool at 89C, Noctua does state that this particular air cooler is not sufficient enough to cool it down properly, " Intel LGA 1151 Core i7-8700K Coffee Lake cooling performance not sufficient". Also, the 89C degrees could have been prevented if I had added more thermal paste. When I removed the air cooler, I saw that there wasn't enough thermal paste applied to the CPU. When I installed the water pump, I used the paddle applicator that came with the Antec Formula 7 thermal paste. Oh well, it is what it is. I'm happy with the water cooling performance. 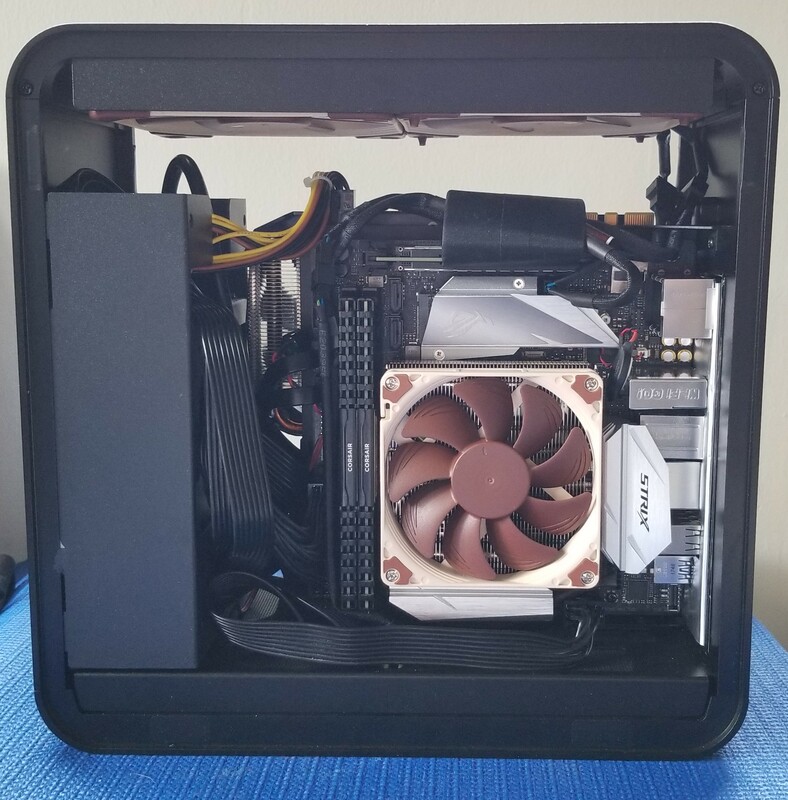 I'm not sure if anyone cares, but I was curious about how much warm/hot air my case is exhausting while at idle and full load. 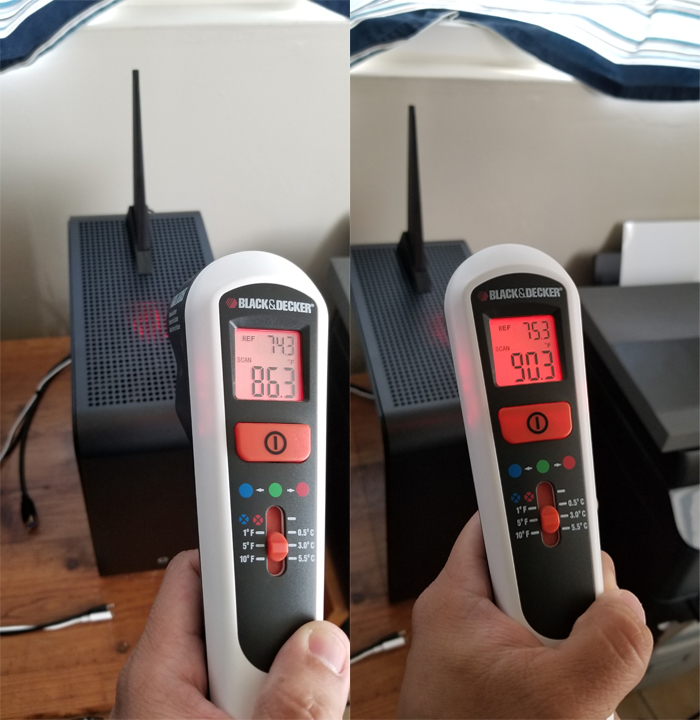 Below is an image of two temps. The left temp is at idle and the right is at full load while video rendering. I thought it was interesting to see that there was only a 4F degree difference between the two loads. boof, WinterCharm, Nanook and 1 other person like this. So here is my final build. I was mostly waiting on the HDPlex 400 AC-DC brick. Added in the water and voila! Temps on load are around 48-52c. It's really hard to come up with titles for imgur posts. boof, Metroversal, dealda and 4 others like this. Very nice. What is the fan on the GPU side, VRM cooling? 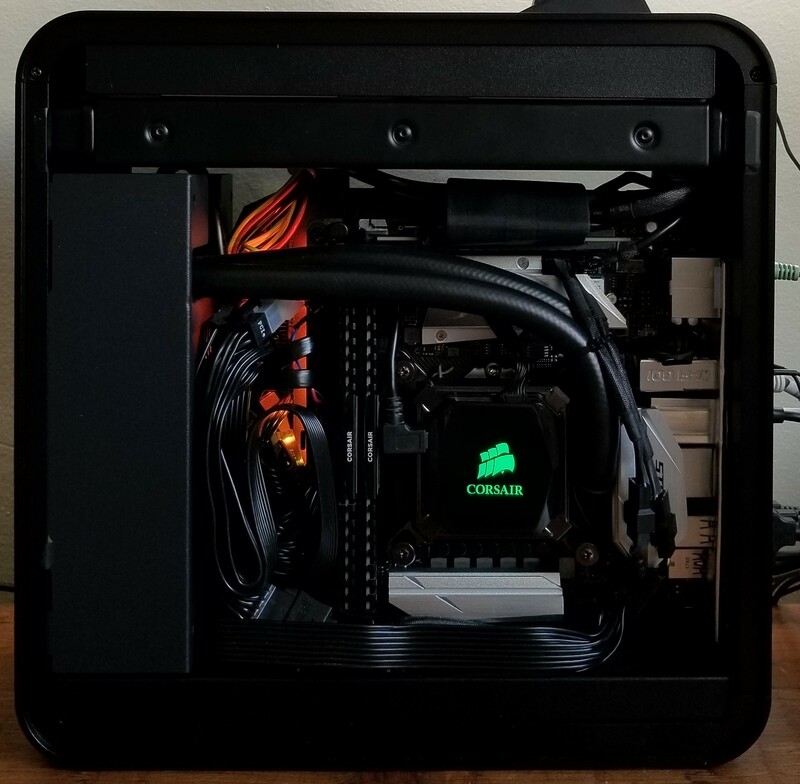 Surprised and delighted you managed to fit an entire pump and res combo and hard tubing in there! great work! Also, is the GPU a 1070 mini ITX? Was there a decision about the alternative PSU support, and possibly a timeline? Yes, it works fine without, I just didn't want to risk it. Yes, I had it from a previous build. Might update to another mini card in the future. boof and WinterCharm like this.